First of all, I'm absolutely astounded by how fast this thing got here. I got an SMS from DHL at 8am Tuesday saying my LR had been booked in for pickup in Birmingham, London. It was in Sydney late that night. I don't even know how that's possible. Wednesday afternoon I received an email from DHL regarding taxes and duty payable - the linked page made it super easy to pay those fees and within a few hours I was informed it would be delivered the next day. 9am Thursday the DHL courier arrives. Just over 48 hours door-to-door. The packaging is, if anything, even better than when I received my L1 and that was crazy solid. 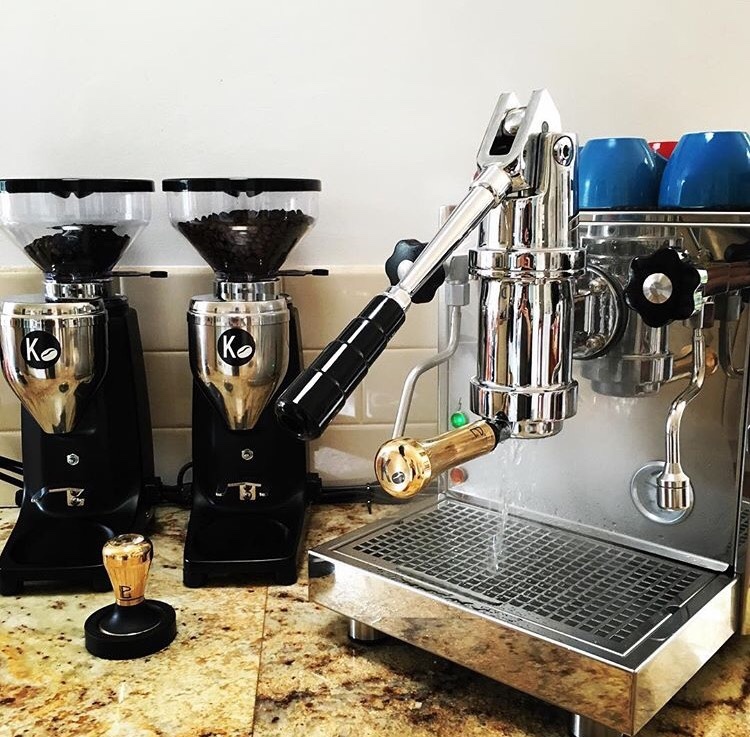 If you've been keeping up with the Decent Espresso saga, they're on their 7th beta and are still breaking machines in transit. The fit and finish is as expected - shiny and extremely well put together. Reiss had advised me to make a few changes to a couple of internal settings as the factory had dialled the earliest machines in differently than he'd expected. Even a non-mechanical dunce like myself was able to make the necessary changes in a few minutes. The new rotary pump on this thing is FAST. Like, could barely keep up with refilling the tank as it did the first boiler fill. And it's way, way quieter than the vibe pump in the L1. No way this will way us up in the morning. Had my first coffee this morning, check out the attachment. That's right... I'd forgotten to buy beans. 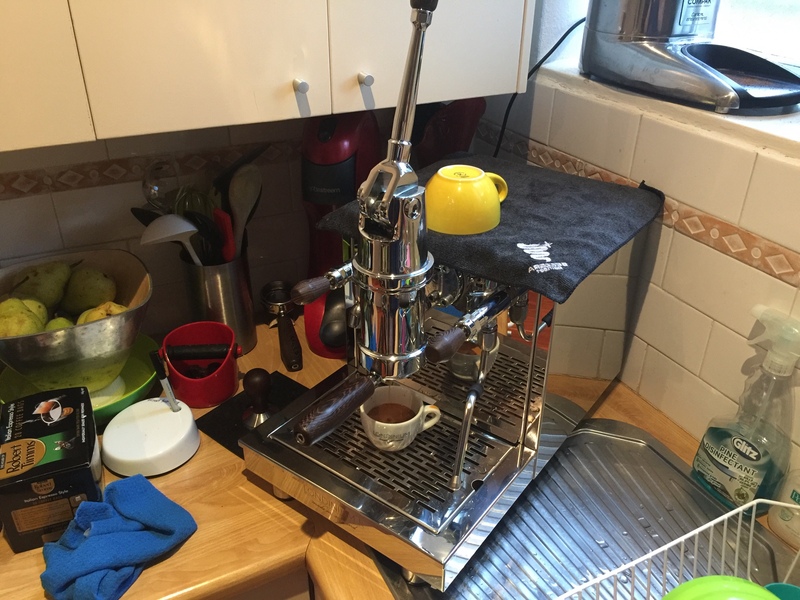 $3K of lever espresso machine is essentially being used as a kettle. Tell me about it.... I can't believe I forgot. Even allowing for the 11 hour time difference, that still seems an impossibility. LM GS3; Caravel; Macap M7D; BNZ MD74; AeroPress; Hario Pourover and WDC-6 cold drip: Royal Balancing Syphon; and several hand grinders. 1kg JYR Roaster. Agreed - I can only think the initial SMS must've been delayed. What were the duties and taxes worth roughly Kelsey? Wow that's great service - congrats! Hi Luke, 10% gst on machine price and shipping + a service charge of $83 and $22 to DHL for having to deal with it. Actual amounts will vary with the exchange rate, mine was around 450. Need to dial in the grind a bit more, but I can already see how the changes made to the machine give increased volume and nuance. 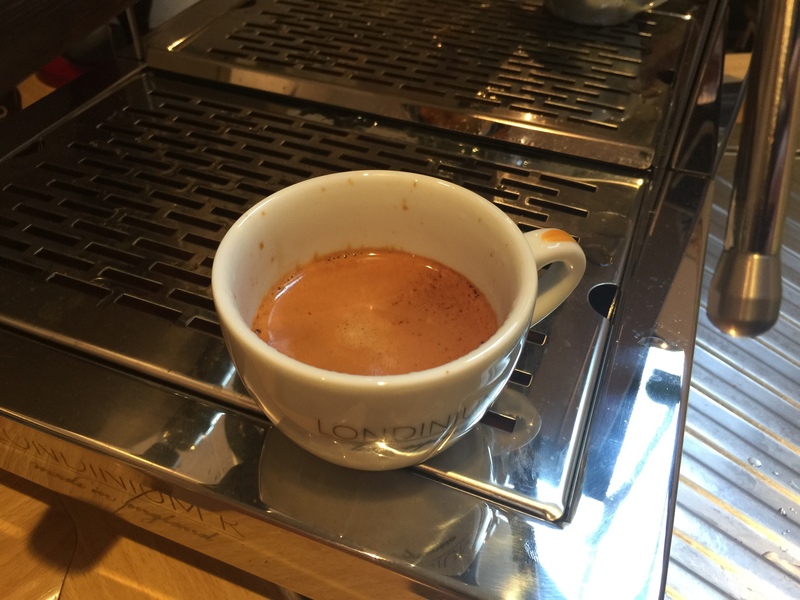 Unfortunately that's just confirmed something I've long suspected - Campos Superior tastes a little like wet dog. Only beans I could get on short notice. I'm going to try and get over to Aslan today to pick up something better, or little marionette. I think I'll also wind up playing with the secondary pressure regulator a little to get the volume and pre-infusion pressure right for me. I think I'll going to really appreciate that extra level of fine tuning. Noice machine!! Love the turned wooden handles too! I haven't followed these Londinium folks and their story since the initial angst-filled entry to the market but the machines look the business. Funny thing, like most machines the major parts are all built elsewhere (if they're any good). Why would any company compete with Mater for pressurestats!? It's all really down to your QC final tech on the production line to set it up properly. This can be the difference between brilliant and just good. Now, for the grainy-cats like me we've got a retired tech in Brisbane who is a coffee machine enthusiast who has set up machines better and cheaper than anyone in my experience. I'm sure there are multiple folks in Sydney and Melbourne. This in my opinion makes these machines a very attractive option knowing that most problems with newly imported machines can be fixed with a chequebook. Having recently seen what's available to American consumers first-hand I reckon bring it on!! The really nice thing is that you'd only need a tech in the most dire of circumstances. Last year I had the perfect storm of letting my reservoir run dry and a leak in the pressure hose. Together it burned the pump out. Within 48 hours I had replacement parts on hand and was able to fix myself after a video Skype with Reiss. Same with being walked through the possible pstat and secondary pressure regular options. I was able to make the initial adjustment myself and will fine tune over time. There's almost nothing on this I can't fix myself. The interior is easy to understand and accessible and Reiss is always happy to help with diagnosis. Love that part of owning this machine. Both jus and I have worked on it over the years with great success. As to its angst ridden entry.... Well that was really only the AU market, driven by a certain snooty local forum. And we're all aware of the vested interests at play there. I'm also privy to some of the behind the scenes stuff. Was very interesting, but not my place to discuss. 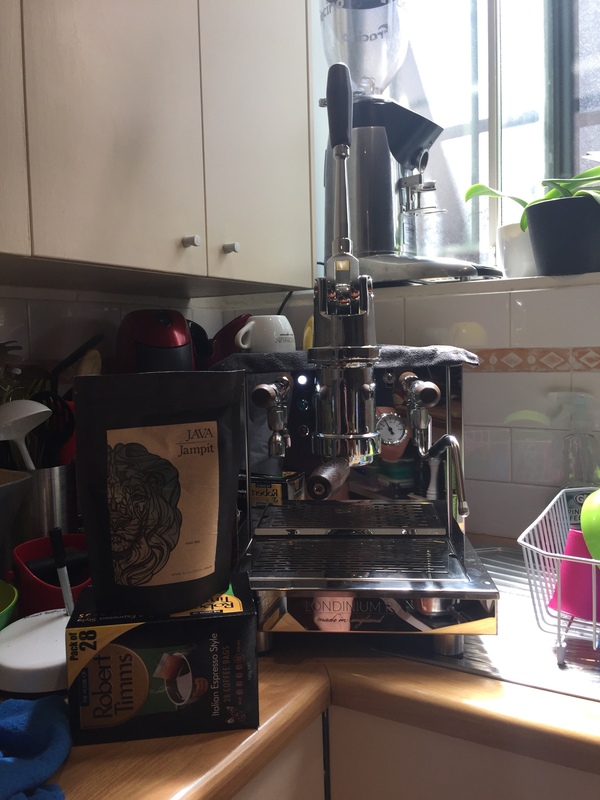 But yes, beautiful machine, can't wait to really get stuck into it. I'd love a shot of the internals if you can manage it! I'll pop the lid again in the next few days and get a shot or three. Space is at a premium in my kitchen so it's difficult to work on unless I pull it out. That said the top and side panels are all pull-off, no tools required so making adjustments is easy. I picked up some Aslan Coffee yesterday. A packet of Sulawesi Toraja and one of Java Jampit, I cracked the latter. Tasting notes describe it as a medium roast with honey, almond, peach and chocolate notes. To truly test the machine I perhaps should have gone for the more citrus Sumatra, but that's not really my bag, baby. My palate isn't the greatest, but I feel like I really got the almond, choc and honey. With the adjustments to the pstat and secondary pressure regulator I'm getting big, voluminous pours that still have good body and full mouthfeel. The taste was smooth, rich yet with some delicacy. This is such a different machine from the L1, I'm definitely still dialing it in and learning the ropes of this particular beast- but very happy with the results so far. And until I can get some shots of the interior, this might hold you over. It's the parts book for the LR. Anything that's able to be purchased is clickable, tho it still needs some refinement. ALL I SEE IS COFFEE-BAGS!!! Sure, they're a big step up from Nespresso but the....GOLD!!! And yes, the handles are lovely. Hand turned wenge with a beautiful stain. They're finished with a grippy matte feel that makes them easy to hold on to. They come as standard. Much, much nicer than plastic and really makes the machine feel the premium quality that it is. Oohhh great stuff! Thanks KK! Nice matching PF and tamper! Good looking machine! Started by Kelsey Classified - Members WTB, For Sale or Free to a Good Home.